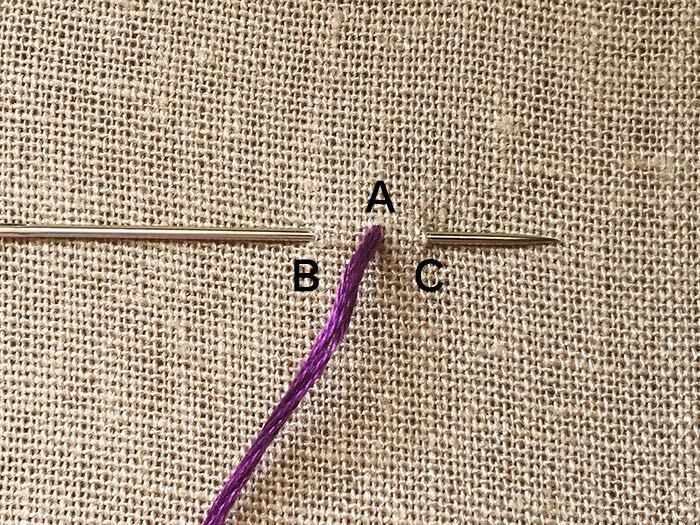 Back Stitch is one of the easiest stitches to learn and do if you’re a beginner. It’s used to outline designs and for lettering. Step 1. Insert the needle through your fabric of choice through A. 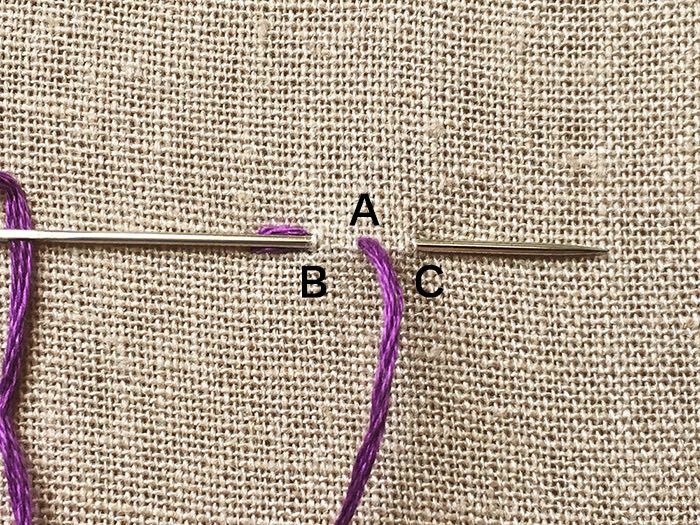 Go back 1 stitch length to B and insert the needle to come up 1 stitch length at C.
Step 2. Insert needle at A and come up at D. Repeat.